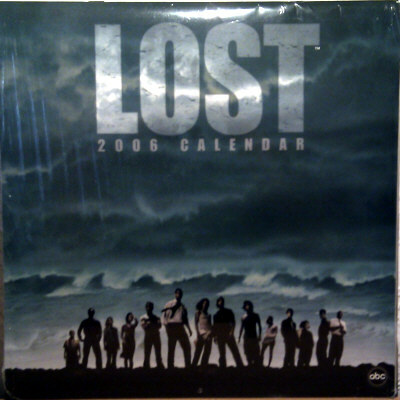 The LOST 2006 wall calendar was published by Andrews McMeel Publishing and consists of 24 pages with one or two large, 4 small cast photos and one calendar sheet for each month. The dimensions are 12 x 11.8 inches, retail price was $12.99. The calendar is still sealed.